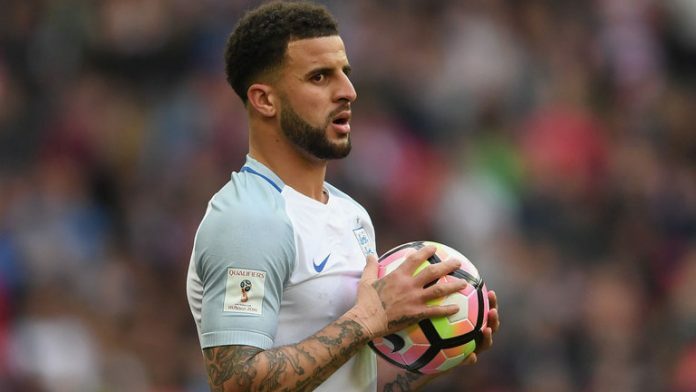 Popular pundit Mark Lawrenson has singled out Kyle Walker as the player who will have a tough time against Tottenham during the Champions League quarter finals. The right back played for Spurs before making the move to Etihad and Lawrenson believes that the Tottenham fans will slaughter him during the game. Manchester City and Tottenham go head to head in the Champions League last eight clash next month. Tottenham have done well in Europe this season and they will be desperate to get past Manchester City now. The two sides have played each other quite a few times and they will know each other’s strengths and weaknesses. It will be interesting to see how Pochettino sets up for the two legged encounter. Manchester City have a superior squad but that means very little in knockout competitions. Tottenham will certainly fancy their chances against the Premier League champions. As for Walker, he will have a point to prove against his former club in such a big game. The Tottenham fans will look to give him stick and put him under a lot of pressure during the game. However, he has the quality and experience to keep his calm and affect the game positively for his new club.